As gun owners, we are used to Bloomberg and anti-gun groups blaming us for criminals running rampant in our big cities. But this has got to be a first! That’s right, just a few days ago Milwaukee Police Chief Edward Flynn blamed Milwaukee’s gun violence on you and me, saying that his city is in chaos after Wisconsin passed ‘shall issue’ legislation a few years ago! He’s wrong and we need your help to prevent this from happening to future victims in Milwaukee — more on that below. Sadly, Chief Flynn is just another example of an out of touch government bureaucrat who is looking for a reason to explain soaring crime rates. Rather than put blame where it belongs — on the criminals -– he prefers to blame inanimate guns and their owners. Never mind the report that was released by the F.B.I. that shows crime is decreasing in states where Constitutional Carry has passed. Never mind that the Mayor of Milwaukee is saying they may have to cut the police force by 80% due to budget constraints. Nope, in Chief Flynn’s mind, none of those facts matter. He’s on a mission to demonize gun owners and do what he can to ensure that Constitutional Carry dies this year! The answer to Milwaukee’s crime problem isn’t disarming the law-abiding citizens who are the potential victim. The answer to their crime problem is to ensure that every law-abiding citizen can quickly arm themselves! Constitutional Carry, or Senate Bill 169, will do exactly that! But rather than embrace freedom and the protection that it provides, anti-gunners like Sheriff Flynn run in the opposite direction time and time again! No more paying taxes for your right of self-defense. No more adding your name to a government database, just to be able to carry to defend your family. Once Constitutional Carry becomes law, criminals won’t know who to target because it will be easier for law abiding citizens to be armed. It has been exactly 30 days since our first hearing, and the Judiciary and Public Safety Committee have refused to advance it as of today. I don’t know about you, but I’m tired of seeing Wisconsin being one of the last states to embrace Second Amendment freedom! We were one of the last states to pass “shall issue” back in 2011 and we were one of the last states to remove the 48-Hour waiting period to buy a defensive handgun in 2015. With 13 other states that have already passed Constitutional Carry and a dozen others pushing it this year — it’s time for us to act. Wisconsin has huge pro-gun majorities in both chambers. The Governor has previously signed pro-gun legislation that hit his desk. With the committee stalling the bill and not moving it forward, it’s time for gun owners to reach out to leadership in the House and Senate to get it going forward once again. That’s why I hope you’ll take a moment to contact the leadership team of the Assembly and Senate right away, and urge them to take action on Constitutional Carry! It’s time to show Chief Flynn, Speaker Vos, and Senator Fitzgerald that we mean business when it comes to expanding gun rights in Wisconsin! To do that, we are trying to mobilize as many gun owners as possible. Please help us do that with a donation of $100, $50, $25 or even just $10 right away! I don’t want Wisconsin to be left behind in the gun rights battle, and I know you don’t either. Stand with us and help us keep the pressure up in Madison by calling the legislators listed above and making a financial contribution of any amount TODAY! P.S. 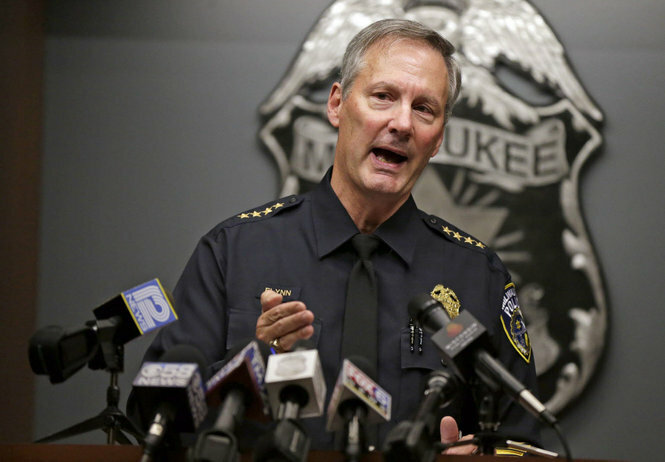 In case you missed it, Milwaukee Police Chief Edward Flynn recently blamed his city’s soaring violent crime problem on you and me –- law abiding citizens who carry for self-defense! Sadly, Chief Flynn is another out of touch government bureaucrat who is desperately trying to make the facts in Milwaukee fit a partisan narrative. We all know that his statement isn’t true. In the meantime, Senate Bill 169, which would arm citizens in Milwaukee and give them back their God given right to self-defense, is stuck in the Judiciary and Public Safety Committee. That’s why we need you to contact the Speaker of the House and Senate Majority leader right away and tell them to move this bill immediately, using the information above. Finally, please consider a donation of $100, $50, $25 or even just $10 today to help us mobilize gun owners across Wisconsin.